Trained in industrial and systems engineering and specializing in health systems research, Shinyi Wu brings a cross-disciplinary perspective to her research on improving quality and cost-effectiveness of health services and population health, especially for patients with chronic illnesses and underserved populations. Her research addresses goals important for American social and health policy and program analysis: to design effective health systems that deliver better patient-centered outcomes at lower cost and to advance scientific knowledge leading to solutions to human problems. Her research integrates quality improvement methods, implementation science, cost-effectiveness analyses, simulation modeling and innovative technology applications. 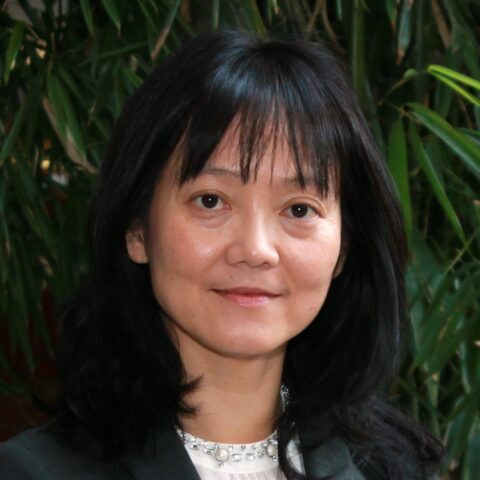 Wu led the Diabetes-Depression Care-Management Adoption Trial to design and evaluate an innovative application of an integrated technological system to implement evidence-based depression-care management to improve outcomes for underserved diabetes populations. She has also led studies of the effectiveness of systems redesign approaches, such as the Chronic Care Model and Toyota's Lean management implementation. Wu's cost-effectiveness studies have helped close the gap between research and clinical practice. Studies include evaluating a national program for implementing Spanish-language access programs, comparing effective interventions to promote physical activity and to prevent HIV, and modeling a national policy for a fall-prevention program for older populations. An associate professor at the USC Dworak-Peck School of Social Work with a joint appointment in the Daniel J. Epstein Department of Industrial and Systems Engineering in the USC Viterbi School of Engineering, Wu creates opportunities for new interdisciplinary connections to integrate social work science and practice, health policy and systems engineering. Prior to joining USC, she was a RAND researcher and co-director of the Roybal Center for Health Policy Simulation, where she was honored for her contributions to improving health policy and decision-making. In this study, researchers identified the biopsychosocial factors associated with depression for patients with Type 2 diabetes, and reported that knowing biopsychosocial factors could help primary care physicians and endocrinologists identify a high-risk group of patients needing depression screening. In this investigation of the dimensions of low-income minority patient engagement in the context of diabetes-depression care-management with automated telephone assessment (ATA) calls as a facilitator, the researchers identified barriers to aid the design and implementation of future automated screening and monitoring systems to optimize patient engagement. This article demonstrated both need and opportunity to develop, apply, and test social work integrated biopsychosocial and technology activated care within a large safety net care system.